The installation of a "black box" in an aircraft is understandable. 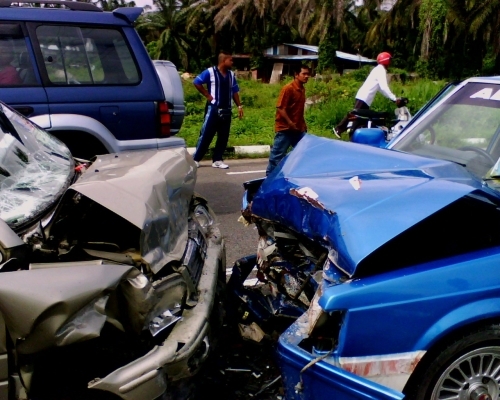 Most crashes, although extremely rare, are usually catastrophic with few survivors. In these cases, it is necessary to know what happened and why. The information contained inside can be used to prevent future disasters. Recently, automotive manufacturers have been placing them in our vehicles. These recorders constantly record just about every bit of information that an aircraft recorder does. The data is supposed to be constantly deleted until the airbags are triggered. Then the previous 30 seconds prior and a prescribed time afterwards are recorded. The interesting thing is that the data does not belong to you. It belongs to the manufacturer. This data is then used by the police to find out what exactly happened, by the insurance companies to adjust your rates accordingly, and by the manufacturers to determine if the vehicle could have been at fault. While automakers aren't required to install them currently, many cars contain them already. General Motors has been installing them into their cars since 1990. Toyota famously fought against the government so that it might not have to reveal the data from the Prius to find out what was happening. In this case, the data has proven that the fault was with the vehicle, and not the driver as Toyota was claiming. Recently the National Highway Traffic Safety Administration has been considering making these recorders mandatory for all automakers, a decision which, according to the NHTSA could be made next week. Many privacy groups and consumers have already been worried. They claim that it's not unreasonable to think that as time goes on, more and more data could be collected and constantly uploaded automatically. They say that there could there be a time where the government and the insurance companies will know exactly where you are, where you are heading, how fast you are going, and even what you're saying or doing in your very own car. It would even be possible to have your own car notify the police that you are speeding. Will Americans be accepting of a time where their cars could be used against them in a court of law?